Have you ever imagined a kitchen without any cookware, no you can’t, because it is impossible to run a kitchen without any cookware. Almost everything you would find in a kitchen that can store food and cook food can be defined as a cookware. It is a well-known fact that the cookware’s available on the market 50-years ago was totally different from what we have today. The materials have changed, the designs have changed, and above all, we currently have new brands/manufacturers. So, what do you think makes today’s cookware different? It’s, of course, the higher efficiency obtained as a result of new design and new building materials. One of the other notable innovations in this segment is the introduction of microwave oven compatible cookware, induction cooktop compatible cookware, etc. Technology and vast knowledge has enabled manufacturers to mould different types of cookware’s with several of materials that are suitable to be used for cooking. Here is the list of 10 such top brands capable of manufacturing cookware. PS: The brands listed below are not ranked. All-Clad Metalcrafters, LLC is a top cookware manufacturer in USA and has their headquarters in Canonsburg, Pennsylvania. This brand is known to market its cookware products to speciality stores and department stores in USA, Canada, Germany, United Kingdom, and Australia. The company was founded in the year 1967 and it started manufacturing cookware in the year 1971. However, the brand is now owned by an international company Groupe SEB. The company now manufacture cookware, ovenware, kitchen accessories, and kitchen tools. Le Creuset is a French cookware manufacturer with their headquarters in Fresnoy-le-Grand, France. This manufacturer is known for its unique colorfully-enameled cast-iron cookware also commonly referred as casseroles or cocottes. It has been recorded that the company manufactured their first cookware in the year 1925 and has been growing and improving their efficient designs. It was in the year 1970 the company designed the first French saucepan with lid which is still used today. One of the notable things about this brand is their cast-iron cookware which is manufactured using standard sand casting method which is then hand finished and coated with two layers of enamel for long life and high resistance to corrosion. The brand also has a unique lifetime limited warranty on almost all products. Lodge manufacturing company is an American based company that manufacture cast iron cookware and has its headquarters South Pittsburgh, Tennessee, United States and was founded in the year 1896. This is one of the oldest and still operating cookware manufacturing companies in the world and in America. The company is still owned by the lodge family and does its cast iron cookware production in their cast iron foundry in South Pittsburgh. 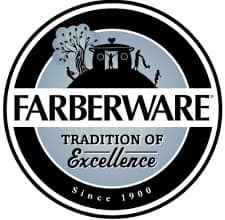 Farberware is a 118 year old American company that was founded in New York. The company was founded in the year 1900 and specializes in manufacturing kitchen related appliances and cookware’s. However, this company was acquired by the Meyer Corporation in the year 1997 and is still a leading manufacturer of cookware. The Farberware cookware products are currently found mostly in major retailers and other top retailers that include Walmart. Calphalon is a brand of cookware founded in the year 1963 and specialises in manufacturing aluminium cookware products. This cookware product from this company boasts performance and durability. The manufacturer has most of its cookware products designed for professional use. Few of the comments from the customers include cooking with Calphalon can be relaxing, fun, and above all personal. Non-stick pans infused anodized aluminium, stainless steel, enamel cast iron, sauce pans, stock pots, fry pans and roasting pans are the few top-rated products from this brand. Anolon is a trademark of the Meyer Manufacturing Company Limited. The company Anolon was founded in the year 1984 and it was in the year 1989 the company introduced their first flat-surface gourmet hard-anodized non-stick cookware products. This brand has been fulfilling the kitchen demand for anodized, smooth-interior non-stick cookware from the year 1989. One of the notable features of this brand is that they use top-quality aluminium and stainless steel for manufacturing their products and is well-known to a rubberized material Santoprene trademarked for manufacturing their cookware handles. With time the brand has been opening up new ventures and setting up a record for consistency in quality and performance of their various products. The brand also features advanced bronze cookware that comes with bronze-Colored non-stick cookware. Cristel SAS is a French based manufacturing company founded in the year 1826 and has over 90+ employees. However, the company made its entry into the US market just a few years back, but, set a record for gaining popularity for its quality and design. The brand specialises in manufacturing stainless steel pans that are designed spread the heat all over its surface and not get wasted in any way. They also specialise in manufacturing fast-heating aluminium pans and other kitchen utensils. Tefal is a French based company that manufactures cookware products and has its headquarters in Rumilly, Haute-Savoie, France. This brand is owned by the firm Groupe SEB and they specialise in manufacturing non-stick cookware and frying pans. The cookware products from this brand are sold in USA under the brand name T-Fal. Don’t get confused in the name change; this is because DuPont insisted on the name change as it seems similar to the name Teflon. This brand not only manufactures cookware product but, also manufacture linen care products too. Vremi is a company that manufactures kitchen cookware and was founded by Jordan Nathan. The brand today is known for its top-quality and user-friendly cookware designs. However, currently, the brand has expanded its products and services to fulfill the needs of every room in your house and backyard. This brand specialises in manufacturing colourful and aesthetic cookware that includes pots, knives, cookware, and pans. Cuisinart is a brand that believes in innovative culinary and has a reputation for making kitchen utensils like cookware’s and bakewares’s with a unique signature of innovation. The company introduced its first product in the year 1973 and the brand is still operational today. The company has its headquarters in Stamford, Connecticut, USA. The brand is currently endorsed by culinary connoisseurs and this alone proves the quality of the cookware products. This brand specialises in manufacturing cookware, ovenware, kitchen tools, and kitchen accessories. If you are looking for the best cookware in the USA, the above-mentioned brands are the ones that manufacture you can rely on. There is one thing you should remember, most of these brands offer limited and lifetime limited warranty on their cookware’s, but, it is necessary that you should follow the instruction as mentioned by the manufacturer to avoid warranty void.